Arizona Diamondbacks pitcher Daniel Hudson will never forget blowing out his elbow during a game against the Braves in Atlanta on June 26 of last season. In case he does, all Hudson has to do is look at his 2013 Topps Heritage baseball card, which features a photo of Hudson on the mound right after he tore the ulnar collateral ligament in his right elbow. Ugh. Hudson is currently rehabbing with the Diamondbacks in spring training after undergoing Tommy John surgery. He had a promising 16-12 record with a 3.49 ERA in 2011 before struggling last season. For what it's worth, Hudson's regular Topps card is much nicer. 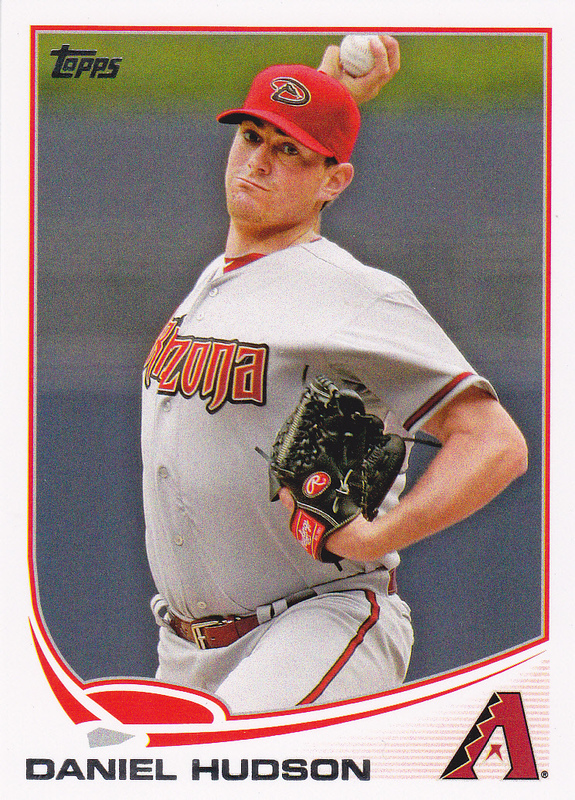 Perhaps Hudson's 2014 card back will include the saga of his 2013 Topps Heritage picture.